At Theatrical Makeup Supplies we have the full selection of Ben Nye foundation makeup for your professional applications. We carry an exceptional selection of Ben Nye eye pencils and eye crayons at Theatrical Makeup Supplies. At Theatrical Makeup Supplies we have the full selection of Ben Nye eye shadows for your professional applications. Ben Nye creates the foremost professional eye shadows for your professional applications that you can always depend on for the very best results. We carry Ben Nye eye shadows including Lumiere, Fireworks and Pearl Sheen eye shadows. 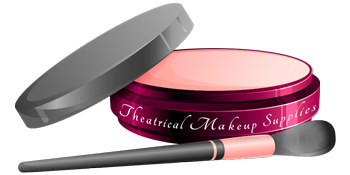 We carry a wonderful selection of face powders by Ben Nye at Theatrical Makeup Supplies. The Ben Nye line of face powders will take your film, stage or Halloween look to a professional level. The Ben Nye face powders are made with the finest ingredients and will glide on your face for a professional finish. We carry an exceptional color selection of Ben Nye dry rouges at Theatrical Makeup Supplies. The Ben Nye line of dry rouges allows your creativity to flow and applies for a flawless finish. At Theatrical Makeup Supplies we have a wonderful selection of Ben Nye lipsticks and lip pencils for your professional applications. Ben Nye creates the richest color hues in lipsticks and lip pencils for professional applications that you can always depend on for the very best results. Ben Nye lipsticks and lip pencils are created with the very finest ingredients that just glides on the lips. Ben Nye lip colors assists you in getting the best professional results in your makeup applications. We carry an exceptional selection of Ben Nye makeup kits at Theatrical Makeup Supplies. Ben Nye makeup kits come in creme makeup kits, cake makeup kits, creme personal makeup kits, master production kits, and character makeup kits in a variety of facial tones to meet your professional makeup needs.